Always dreamt of being famous for a day? Our Chichis® do as well! 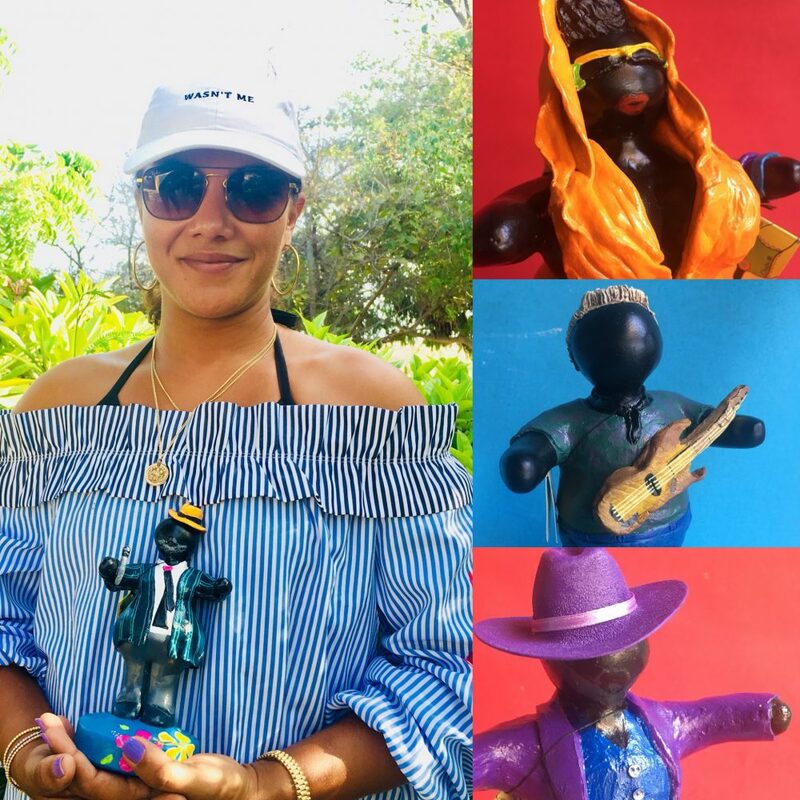 This is why Serena took some of her sweetest Chichis to the North Sea Jazz Festival in Curaçao. The Chichis® danced all night long.. but what we did not expect was that Shaggy’s wife (Rebecca Parcker Burrell) had an eye on us! She thought that we were so cute and she wanted to see our brothers and sisters at Serena’s Art Factory! We took her to our home and she could not believe her eyes! Rebecca and her friends wanted to take some of us with her and so she did. Even one of our big sisters went to Grace Jones! How cool! Now we are singing everyday with Shaggy and his wife at his place!